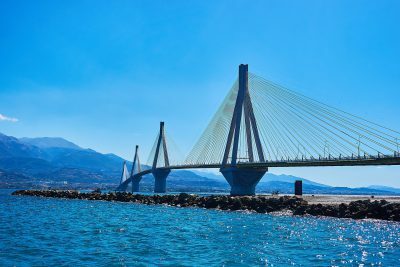 The peninsula of Peloponnese situated on the southernmost tip of mainland Greece, technically an island once divided by the Corinth Canal, and recently linked with the Rio – Antirio Bridge consist of five prefectures Arcadia, Argolida, Corinthia, Laconia, Messinia, Achaia and Ilia. Accessed by air and sea through Athens to the airport of Kalamata, by sea via Patras connecting Peloponnese with the Ionian Islands as well as Italy, by ferries reaching Monemvasia, by train to connect Athens with Patras or by car and regular bus services, Peloponnese is a non-far fetched destination waiting for you to explore it. Peloponnese has been the birthplace of significant civilizations and city-states like Mycenae, Argos, Corinth and Sparta and after being occupied by Romans, the Byzantine Empire, Ottomans, Venetians, and Turks, while actively contributing towards the 1821 Greek Revolutionary, preserve all signs of its history to reflect its glorious past. Mycenae, Ancient Olympia, Corinth and Messini, the theater of Epidaurus, numerous churches and monasteries such as the historical monastery of Agia Lavra in Kalavrita, along with picturesque towns and villages like Nafplio, Monemvasia, Mystras, Dimitsana and Pylos stand out as some of the most popular destinations around the area. Blessed with beautiful natural landscapes with plethora of olive trees, citrus trees and vineyards, varied flora and fauna as well as mountains, rivers, lakes, gorges, natural springs, caves, canyons and rocks, Peloponnese is ideal for outdoor enthusiasts to be amazed by the wide selection of activities available. Skiing, mountain climbing, canyoning hiking, trekking, biking, slope-parachuting, rafting, canoeing, bird watching, as well as diving, windsurfing, horse riding and golfing, are all sports activities to be practiced throughout the year. 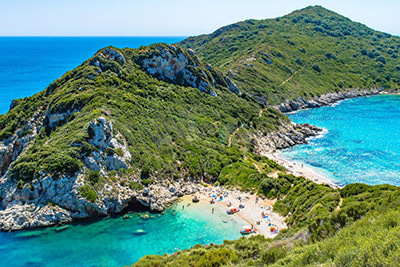 Additionally due to the plane-tree leaf shape of Peloponnese, the coastline is miraculously lacy with countless sandy beaches. The wine roads of the area are widely known for fine wine making in beautiful estates waiting for you to visit them and grasp a chance for wine tasting. 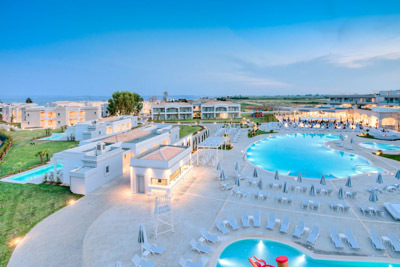 Finally Peloponnese is home to some of the best luxury hotels and spa resorts in Greece to be found among other areas in Pylos-Messinia, Loutraki, Porto Heli, Ilia and Kandia, offering high end services and conference facilities all perfectly situated in this blessed piece of land. Alternative tourism, thermalism tourism, religious tourism, sports tourism archaeological tourism, fine arts and relaxed holidays, leave no visitor dissatisfied once stepping at this steeped in history and rich in culture and natural beauty region. 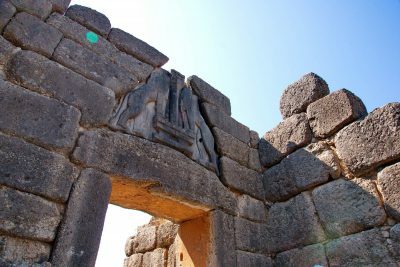 Overall, Peloponnese is justifiably regarded as the ideal tourist destination throughout the year, as it is indeed a place to feel the magic and lightness of history and nature. 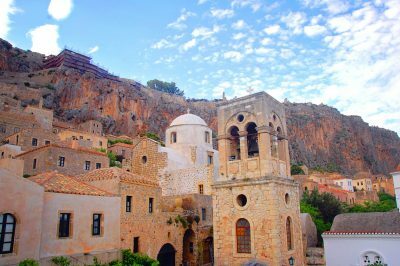 Peloponnese, is bounded by the Ionian and the Aegean and joined to the mainland Greece by bridges spanning the Corinth canal. 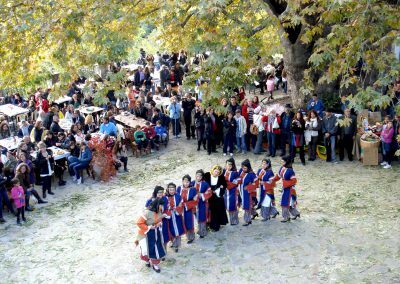 This southernmost section of the Balkan peninsula, which reminds of a huge plane-tree or mulberry leaf floating into the Mediterranean, is one of the largest and the most historic geographical sites of Greece. 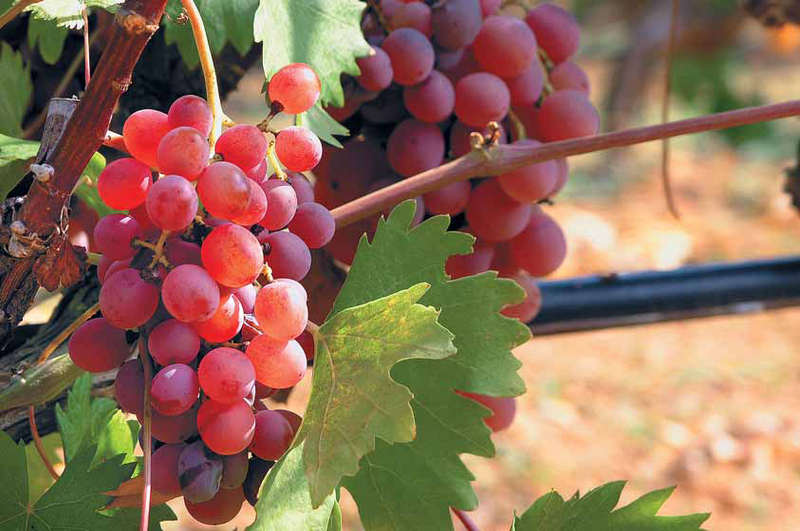 Peloponnese is composed of images and music, the scents of the sea, of the mountains, of grapes, olives, and citrus. The cities, towns, and spas of the region were important centres in antiquity, and remain so today. It includes 7 districts whose names encompass special connotations for the collective knowledge of western societies: Corinthia, Arcadia, Argolis, Achaia, Elia, Messinia and Laconia. 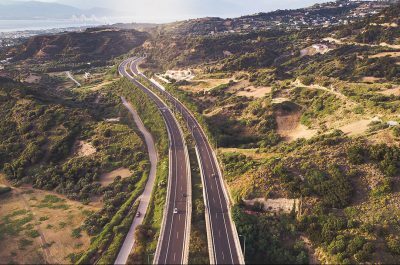 Transportation infrastructure to the Peloponnese is good and is being continuously upgraded. All major cities are interconnected and connected to Athens with fast new roads, while travelling with the wonderful little trains, that service this region, would be a joy. 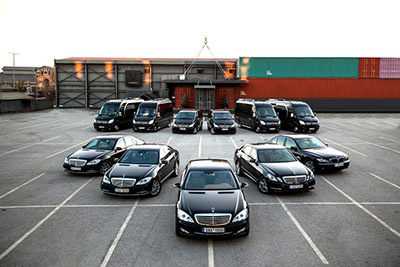 You can fly to Kalamata, Sparta and the island of Kythira from Athens on “shuttle” services. 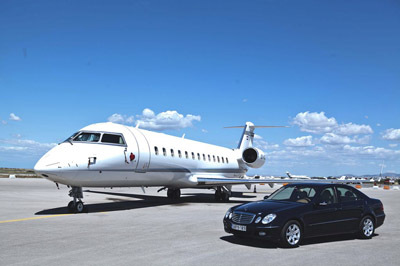 These airports are open during the summer for Charter Flights booked by various holiday companies from all over Europe. 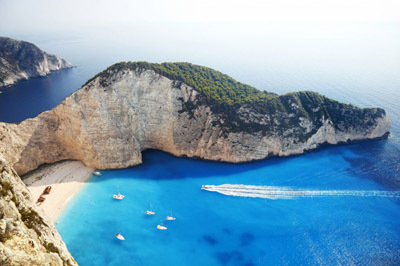 Several resorts and towns in the eastern coast of the Peloponnese are connected with boats and hydrofoils to Piraeus, while the ports of Kyllini and Patras on the western coast offer rides to the Ionian islands. 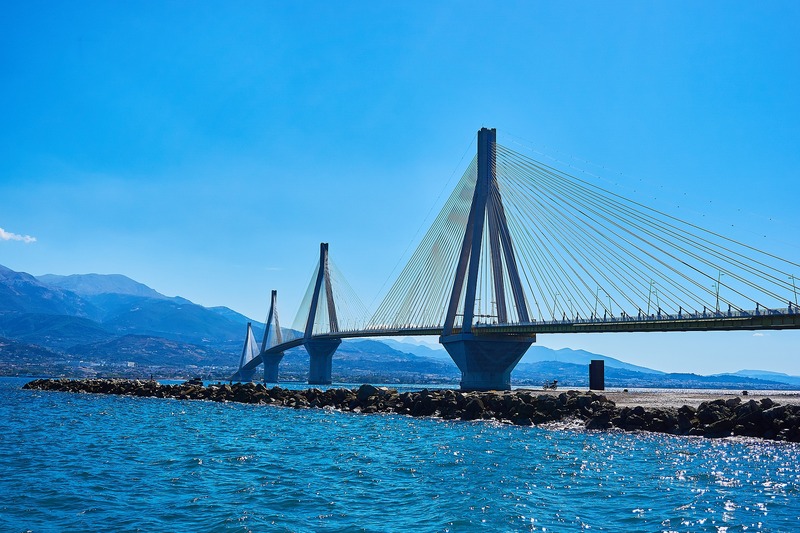 Patras is also the main sea route, for people and freight, connecting Greece to Italy and Western Europe. 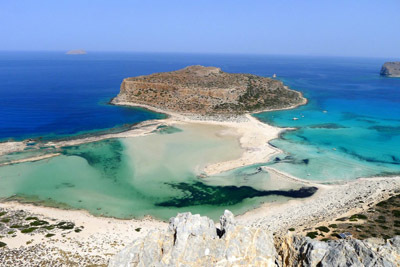 The island of the mythical king Pelopas (the etymology of “Peloponnese”), from Myceneae and Corinth to Sparta and Mistra, has seen more than its share of history. 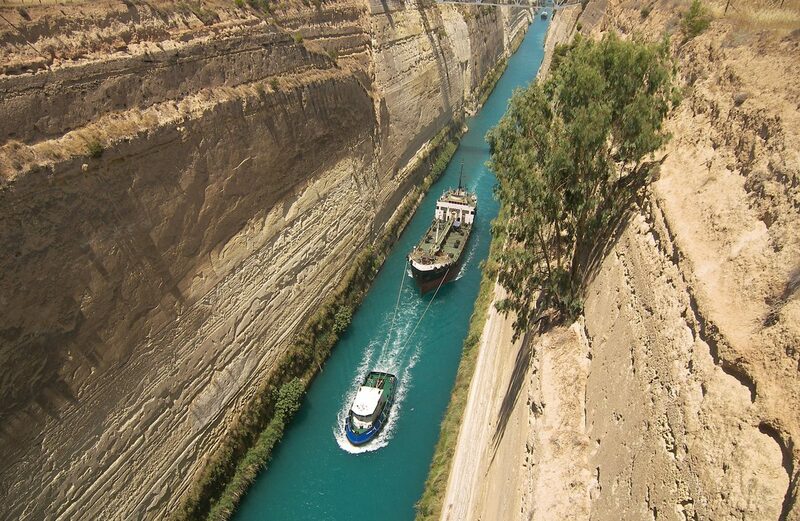 This is where Paris stole Helen from King Menelaos and where Agamemnon set forth with his fleet to besiege Troy. It is the land where the athletic spirit of Olympiads was created and where ancient city-states flourished, becoming the very hart of what is known to the world as the marvel of the Greek civilisation. From the 8th century B.C. onward, the Peloponnesian city-states of Argos, Corinth, Sparta and several others, were among those that broadened Greek horizons of knowledge by establishing colonies and trade stations throughout the Mediterranean. United the Greek cities defeated the invading armies of the Persian Empire on several occasions (early 5th century BC), but their growth led to rivalries and conflicts. Wars between cities culminated with the destructive Peloponnesian War (431-404 BC), which sucked in it most the ancient Greek world, including Southern Italy and Sicily, Cyprus and the Asia Minor. Sparta was the victor, but regardless of outcome the civil wars had weakened the city-states, making their submission an easier task for the rising power of the Macedonian Kingdom (338 BC). The Romans in 146 BC dissolved the Achaean Confederation, the last standing Greek alliance, and the whole region became a roman province. By the 4th century AC, raiding parties of Goths and Slavs were reaching beyond the Isthmus of Corinth pillaging and destroying what was left of ancient Greece. The Byzantines gradually adopted the name “Moreas” for the Peloponnese, which remained in use for many centuries, well into the modern era. The Franks, dissolving the Byzantine Empire in 1204, managed in short time to subdue the whole of the Peloponnese, apart from the domain of the Byzantine lords of Mystras. The heavily fortified hills of Mystras where the source of the regenerated Byzantine state which was to last for a couple more centuries. For more than 30 years the Byzantines resisted the Turkish raids along the walls of Isthmus, before being completely overrun in 1458, dismayed by the fall of Constantinople four years earlier. 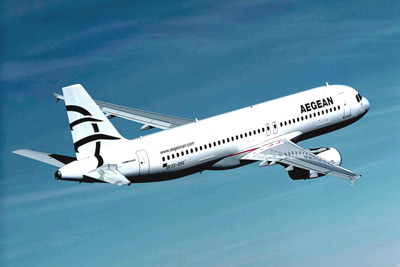 The modern era of Greece starts from the Peloponnese. In March 1821, the local chieftains supported by Greek intellectuals from abroad, organised an uprising against the Ottoman Empire, which ended in 1829 with the creation of a small independent Greek state. 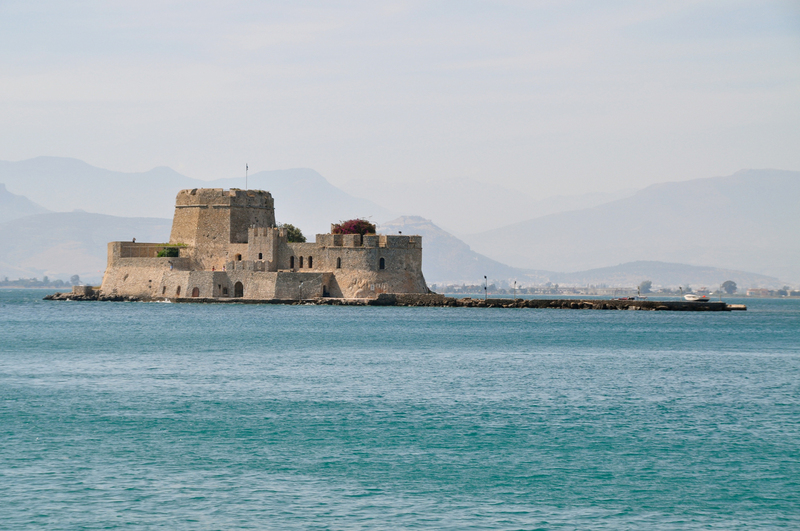 Nafplion was the first capital and the Peloponnese was once again the heart of Greece. One cannot start talking about this land whose every corner brings to mind some myth or historical event.. Innumerable scenic sites, natural wonders and famous archeological areas constitute this region. 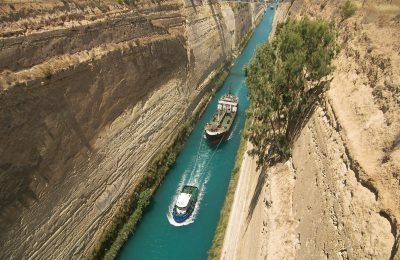 On crossing the Corinth Isthmus one beholds the famous canal, one of the more impressive feats of 19th century engineering. Visitors may know the ancient city of Corinth, at least by name, from the Apostle Paul’s epistle to the Corinthians in the New Testament. The Acrocorinth is the Acropolis of Corinth, which rises up from the ancient city. It is the largest and oldest fortress in the Peloponnese, containing a number of shrines and temples including the Temple of Aphrodite. The view from Acrocorinth is simply incredible and if for no other reason this site should not be missed. Moving on to the south is the peninsula of Argolis, the region once ruled by King Agamemnon of Mycenae. The city was utterly destroyed by the nearby Argos in 468 B.C. and what remains today of its glory are parts of the prehistoric citadel, with its gigantic or “Cyclopean walls” and the Necropolis, the burial site of the kings. 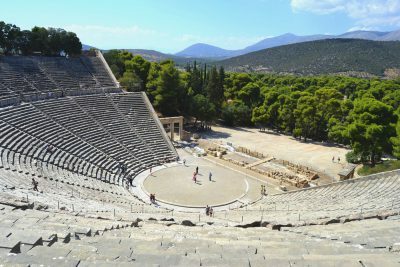 In the same area is the site of Epidaurus, renown for its ancient amphitheatre, with incredible acoustics. It is the best-preserved example of classical Greek theatre, which seats up to 14,000 spectators. It is most likely that people will choose the pretty seaside town of Nafplion, with its elegant buildings and massive castles, as their base for discovering the aforementioned and other significant sights of Argolis. To the west, in peaceful, serene, verdant, valleys of Elia, stands Ancient Olympia, with the grandiose temple foundations, the colonnades, the stadium and the altars. The numerous interesting archaeological findings exhibited in its museum are crowned by that masterpiece of sculpture, the Hermes of Praxiteles. Entering into Lakonia, we reach its capital, Sparta. Unlike the Athenians who built temples and massive walls, the men of Sparta were considered the walls and there are few ruins from classical times, but they include the remains of the ancient acropolis, the sanctuary of Artemis and the tomb of Leonidas, whose small band of Spartan warriors held the Persians at Thermopaleae. On nearby Mount Taygetos there are numerous traditional villages, well worth a visit and the Byzantine castle-state of Mystras with its incredible churches, monasteries, palaces, and mansions. On the eastern coast of Laconia is placed the citadel town of Monemvasia. It’s a walled city on the site of a giant stone mountain, which rises from the sea, connected by a narrow isthmus. 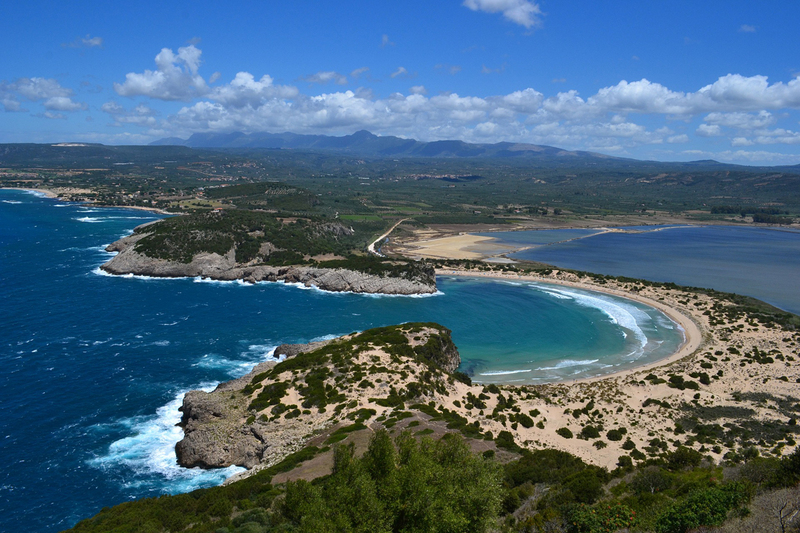 When in Messinia, worth visiting besides the capital Kalamata with its 13th century fortress, are the little Venetian hideaway towns of Koroni and Methoni. Astonishing are also the villages in the rough land of Mani. 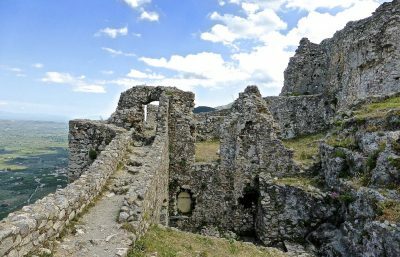 The Maniots, are renown in Greece for their indomitable spirit and the fortified towers they call homes, underline their unique temperament. Everywhere in the Peloponnese the people are lively, hospitable, and above all proud of their origin. Like the spirited people of the wild limestone region of Mani, they feel they uphold long established traditions and share strong feelings about their local identities. Often Peloponnesians go as far as to regard themselves as original Greeks, looking a bit down upon those Greeks born beyond the Isthmus. The reason for this is probably the fact that there hasn’t been much population mobility in this area for the past hundreds of years, juxtaposed to the reality for the rest of Greece, which underwent severe population shifts because of wars and population exchanges. Yet the people here share the innate tendency of the Greeks to enjoy life to its fullest, which is the original Greek ingredient that completes the recipe for a good life. 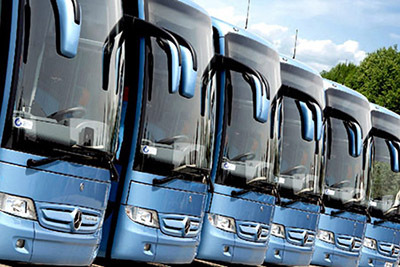 The heart and soul of Greece offers the very best in sporting facilities in the country. Its’ mountainous scenery is a constant challenge to the senses, a paradise for winter sports. The two modern skiing centers placed, at Kalavrita, on the mythical mountain of Helmos and at Mt. 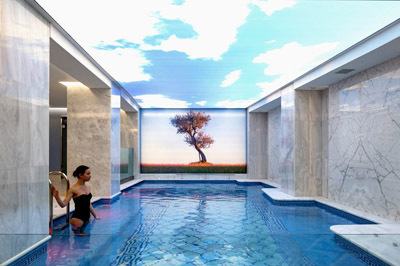 Menalon in Arcadia, offer all the necessary amenities and a special environment, which stimulates all the senses. 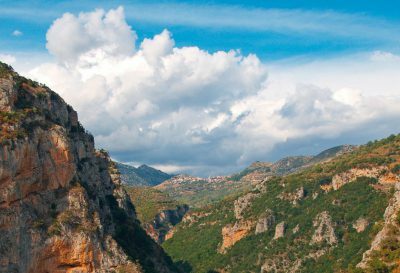 The rivers, running streams, deep gorges, Frankish forts, Byzantine churches, monasteries, and ancient cities of Peloponnesian landscape are also as the setting of numerous trekking trails. 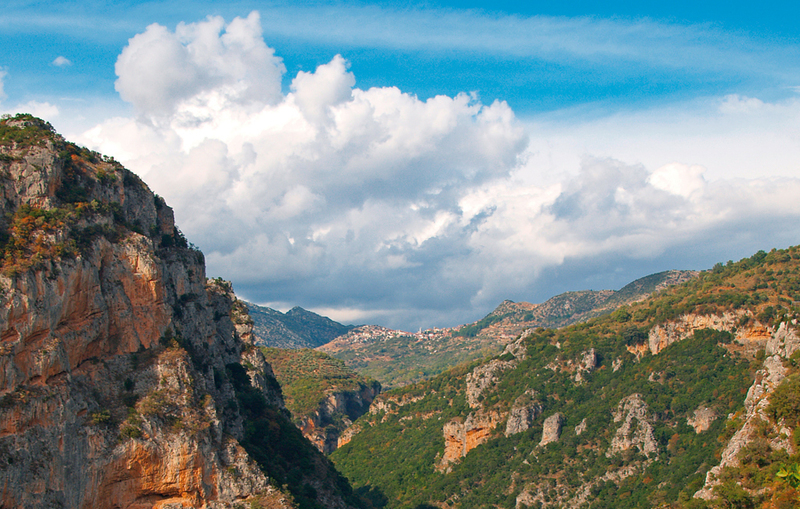 Perfectly fashioned is the trekking route at the Lousios gorge in Arcadia, passing nearby picturesque villages, over an old Frankish bridge and the ruins of the ancient city of Gortys. 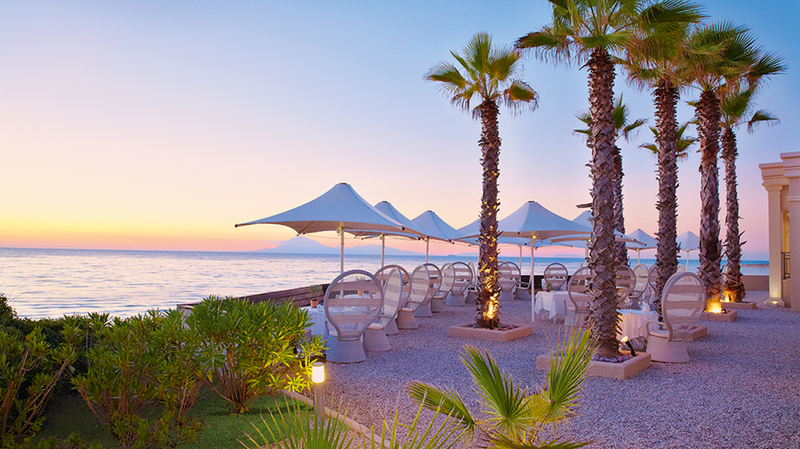 If spa towns meet your like then Loutraki is the best place for you to be. Situated in the entrance of the Peloponnese, protected by the Gulf of Corinth, Loutraki offers the best setting for water sports. 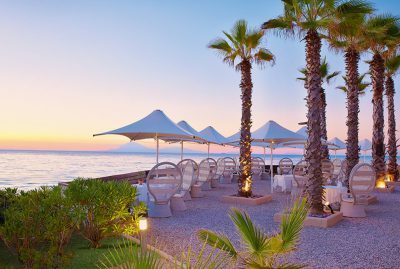 It is also home of an excellent water entertainment park and a fine Casino, both very popular for weekend excursions from Athens. The extensive Cave of Diros near Sparta, famous for their stalagmite and stalactite, will thrill speleology fans. Much of the tour takes place in boats as the cave contains a sizable underground lake. Traditional Greek recipes in their Peloponnesian version make good use of the olive oil, lemon juice and other natural ingredients, which are in abundance in this region. For example, in the Peloponnese a refreshing Greek salad will be extra oily and will have extra oregano seasoning, while roasted, grilled or oven meat and fish, will normally acquire the beneficial touch of fresh lemon taste. The vines, which are cultivated in a variety of climates and terrains throughout the Peloponnese, turn out some of Greece’s finest wines. Most renown wine producing areas are Achaia, Arcadia and the region of Nemea in Corinthia, which also produces the famous sultana raisins. For shopping jewellery and antiques the best quality and variety can be found in the cosmopolitan towns of Nafplion, Monemvasia and Gythion. In many towns and villages, on the mountains of the interior, you’ll come across several fascinating shops of handcrafts and everyday life items, which were on use on the Greek countryside just a couple of the decades ago. These shops sell traditional farming tools, pots, lamps, guns, small items or furniture, church ornaments, old stamps and coins, all legally exported. Everything you should ask you’ll find it here. Being well populated the region enjoys a vibrant nightlife all year round. This means you will get across plentiful live music clubs, discos, bars and pubs, doing their best to give you a great time. 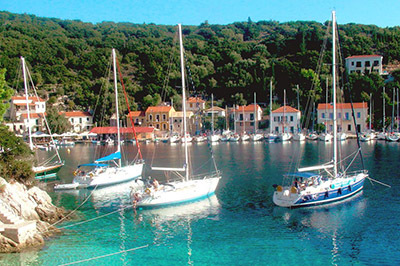 Nevertheless, Greeks usually choose Peloponnese as a vacation place to avoid crowds and noisy nightlife. Evenings and nights are social event – a time to meet old friends and make new ones – and the pleasure is in watching a movie in an open-air theatre, sharing good food, a drink and good company in pleasant and relaxed surroundings. 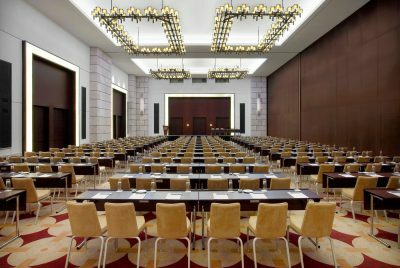 Because of its easy access from Athens, the beauty of its diverse landscape and the symbolical importance of its sites to the Western civilization, the Peloponnese is one of the favorite locations for international conferences in Greece. 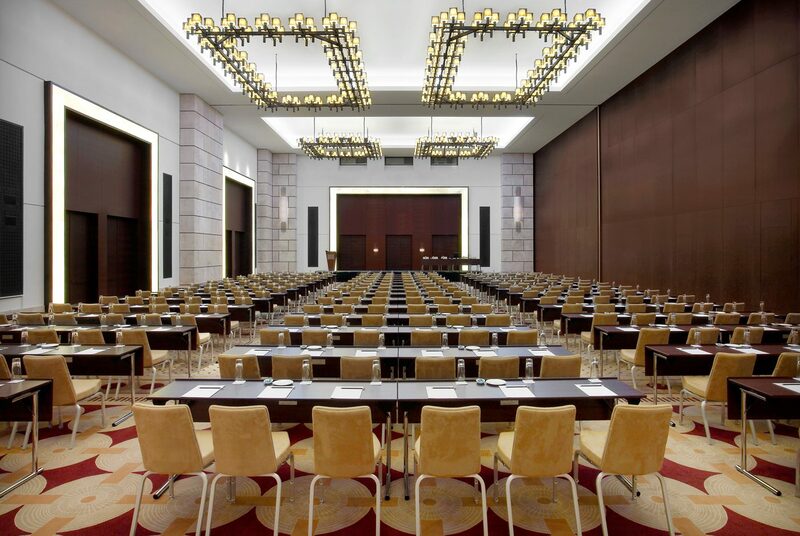 The region is fully equipped in terms of modern tourist facilities and there are many excellent hotels in holiday resorts, major cities and near archeological locations, which operate all year round, offering a wide range of facilities for conventions and congresses.